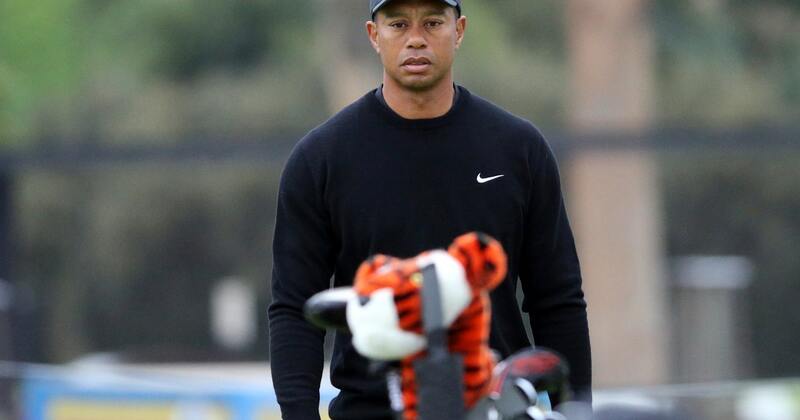 LOS ANGELES (AP) — Tiger Woods and his TGR Foundation took over the Genesis Open at Riviera two years ago, and now the PGA Tour is elevating it to the same status as tournaments hosted by Jack Nicklaus and the late Arnold Palmer. Still to be determined is whether Woods can actually win the one PGA Tour event that has his number. Riviera is where a 16-year-old Woods made his PGA Tour debut on a sponsor exemption. This is the closest PGA Tour event to where he grew up in Orange County. Riviera also is the PGA Tour course he has played the most times — nine — without winning. That was in 1999, a few months before the first major overhaul in his swing took root. He was tied with Ernie Els and Ted Tryba going to the back nine before Els ran off three straight birdies and no one could catch him. Woods was runner-up his best finish at Riviera. The real measure was in 2000, when Woods either won or was runner-up in 10 out of 11 starts on the PGA Tour. The exception? A tie for 18th at Riviera. Woods gets another crack in what figures to be cold, wet conditions because of another storm system that is likely to linger through the opening round. He is in the same group as Justin Thomas and Rory McIlroy, just like last year, when Woods missed the cut for the only time in 2018 at a regular PGA Tour event. Expectations are slightly higher, though it’s still early in the season. Woods, who ended last season by winning the Tour Championship for his 80th career victory, had a pedestrian start to the year last month at Torrey Pines when he rallied with a 67 on the final day to tie for 20th. The field is stacked, though it is missing the top two players in the world ranking as Justin Rose and Brooks Koepka are taking the week off. It includes Phil Mickelson, a two-time winner at Riviera who is coming off a victory at Pebble Beach last week. Riviera has attracted the strongest field in regular PGA Tour events on the West Coast Swing every year since 2006, and this is no exception. The field also features Dustin Johnson, who considers Riviera his favorite track and has a victory to show for it. So does Bubba Watson, the defending champion and a three-time winner, though his main infatuation is that it’s not far from Hollywood and all the movie stars. “The only thing I’ve got on Tiger is that I’ve won here,” Watson said. Palmer bought the Bay Hill Lodge and the PGA Tour renamed it from Bay Hill to the Arnold Palmer Invitational in 2007. Muirfield Village is the course Nicklaus built, and it was the first in 2016 to offer a three-year exemption to the winner, instead of two years for other PGA Tour victories. Palmer’s tournament received the same status in 2017. The Genesis Open joins them starting in 2020, offering $9.3 million in prize money (this year it is $7.4 million). That also means the field will shrink from 144 players this year to 120 players next year, but it will lose the Monday open qualifying it has had since 1926. Bryson DeChambeau approved of the decision as he raved about Riviera, where his idol Ben Hogan won four times, including the U.S. Open and Los Angeles Open in the same year in 1948. PGA Tour Commissioner Jay Monahan said that all a tournament needs to have elevated status is to have a tournament host win 60 times or more. Woods has 80 victories, two shy of Sam Snead’s PGA Tour record. Nicklaus had 73. Palmer had 62. Now he sees if he can be in the winner’s position at Riviera.